Altra importante uscita per gli appassionati italiani di horror e weird: si tratta di Torture Sottili (The Gentling Box), romanzo di esordio della scrittrice statunitense Lisa Mannetti, vincitore del Bram Stoker Award. Lisa Mannetti, dopo aver vinto il Bram Stoker Awards nel 2009 col suo romanzo d’esordio The Gentling Box, è stata finalista a questo prestigioso premio per ben quattro volte, nel 2015 con la novella “The Box Jumper” (Smart Rhino Publications), nel 2013 col racconto “The Hunger Artist” (in “Zippered Flesh 2”, Smart Rhino Publications) e nel 2010 con la novella “Dissolution” (in “Deathwatch”, Nightscape Press) e col racconto “1925: A Fall River Halloween”, (nel magazine “Shroud” #10, tradotto in Italiano da Delos Digital col titolo di “1925: Un Halloween a Fall River”, 2014). La sua Novella “The Box Jumper”, con protagonista Harry Houdini, ha vinto inoltre il This Is Horror Award 2015 nella categoria “Novella of the Year”. Torture Sottili, edito Kipple Officina Libraria, è incluso nella collana K_Noir, curata da Alessandro Manzetti. 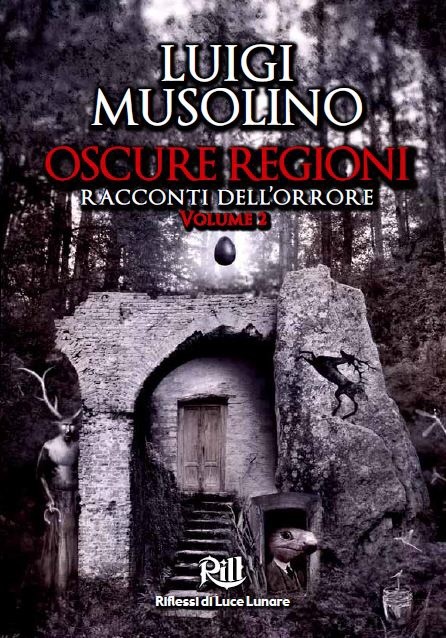 La traduzione del romanzo è di Luigi Musolino, la copertina del volume è di George C. Cotronis. Torture Sottili è disponibile sia in versione ebook che in versione cartacea. Here an interesting news for the italian fans of weird and horror literature: the volume Torture Sottili (The Gentling Box), first novel by the american writer Lisa Mannetti, winner of the Bram Stoker Award. The story, set in 1865, between Romania and Bulgaria, follows the lives of Imre, his wife Mimi and their daughter Lenore, and of the resteless spirit of Mimi’s mother, Anyeta. Lisa Mannetti won the Bram Stoker Awards nel 2009 with this novel, and was one of the finalists of this important award in four occasions, in 2015 with the novella “The Box Jumper” (Smart Rhino Publications), in 2013 with the story“The Hunger Artist” (in “Zippered Flesh 2”, Smart Rhino Publications) and in 2010 with the novella “Dissolution” (in “Deathwatch”, Nightscape Press) and with the story “1925: A Fall River Halloween”, (in the magazine “Shroud” #10, translated in italian by Delos Digital with the title“1925: Un Halloween a Fall River”, 2014). Her Novella “The Box Jumper”, with Harry Houdini as main character, won theThis Is Horror Award 2015 in the category “Novella of the Year”. Lisa Mannetti lives in New York in an old house with two twin cats, Harry Houdini and Theo. Torture Sottili, published by Kipple Officina Libraria, is included in the serie K_Noir, edited byAlessandro Manzetti. Translation by Luigi Musolino, and cover art by George C. Cotronis. Torture Sottili is available in digital and paper version. È stato presentato ieri, a Lucca Comics and Games, durante la Premiazione del XXI Trofeo RiLL, il secondo volume di Oscure Regioni, antologia di racconti di Luigi Musolino sulle leggende e il folclore elle regioni italiane. Dieci nuove storie nelle quali l’orrore, straordinario e ordinario, irrompe nella realtà del lettore. Here a brief description of Oscure Regioni vol.2, presented at Lucca Comics and Games during the award ceremony of the Trofeo RiLL, XXI edition. This collection of stories about legends and italian folklore, by Luigi Musolino, will guide you in the world of extraordinary and ordinary daily horror.